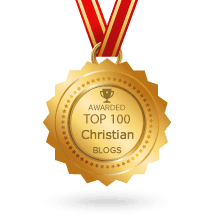 Have you written anything on why some find grace appealing while others are offended by it? Specifically is God entirely responsible ie divine election or is there some understanding that offers a more just ,if I may say that knowing that God is juster than just, alternative? 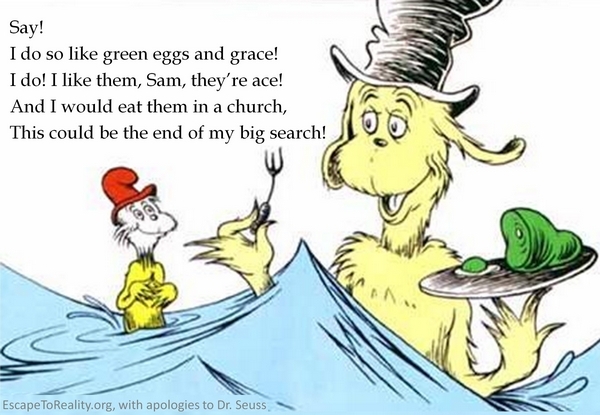 thank you, as usual,it is timely for me, sometimes people throw the green eggs and ham at you. I am I am. hehe. and it takes a minute to recover, and gather your thoughts. I think there might be a 3rd category of unbeliever although you might be including them in the ignorant camp. Those who have heard some distortion of the Gospel and have rejected that. The problem is they might be pushing back against the distortions without distinction and end up rejecting Christ. I would put many modern atheists and many who have left the Faith who I’ve met online in that category. Me too. Every time I hear a guy like Richard Dawkins railing against the evils of manmade religion, I find myself agreeing with him! Great post! I cross-checked with my Greek tools and came to the same conclusions. — decision (Strong’s #2917: krima, that simply means a decision, from Strong’s #2919: krino – to distinguish, decide. From the latter, you get dia-krino (Strong’s #1252: diakrino – through-judge – discriminate, doubt), and kri-ma – decide-effect, or decision. The word condemnation, or kata-kri-ma (Strong’s #2631: katakrima – against-decision, adverse decision, or condemnation) doesn’t even appear in this passage). So, to sum this up, what this passage says is that Pharisees make a more earnest decision (to stay in the condition they are in), as evidenced by their actions. Again, God is not mentioned as an active agent in this context at all. It’s talking about Pharisees making their own decision. Awesome Paul! Thanks for all the insight. Soooo good Paul. Thanks man. Helped to bring clarity and insight into much of what I’ve been thinking through regarding the condemnation that the natural world is under outside of Christ. any idea why king James Version added that ? I don’t know why they added this qualifier (which comes from verse 4) but I do know that it troubles some people. It shouldn’t. For me, the verse makes sense either way. Remember, condemnation is self-inflicted. If you are in Christ, there is no condemnation. Awesome! But if you are walking after the old ways of the flesh instead of the new way of the spirit – perhaps by trying to justify or sanctify yourself through your works – then you will feel condemned. Indeed, there are many Christians who are in Christ yet feel guilty and condemned for this very reason. The condemnation does not come from the Lord; “I condemn no one.” It comes from the law. The remedy is to stop running back to that old husband and walk in the new way of the Spirit. It’s to walk under grace. If you take the word “condemnation” to mean “adverse decision” which is the core meaning of that word in Greek, and consider it not exclusively in a judicial context, then it will make more sense, and even that transposition in Rom 8:1 from verse 4 won’t throw you off that much. See, if judicial condemnation is all there is, then that completely takes the issue of condemnation out of my sphere of responsibility and control and by definition would require a judge. In this context that would be God. If so, then getting condemnation would be God passing an adverse verdict against me, which is an impossibility since I am in Christ. When you think condemnation to simply mean adverse decision made by whoever the context points to, things get much simpler. If I walk by the flesh, by my actions I make a choice or decision which will adversely affect me. I am immune from God’s adverse judgement since it’s been poured on Christ on my behalf; however, I am not immune from cause and effect. In 1 Cor 11:29, people were eating and drinking “decision (krima) on themselves”, which meant that they kept getting sick and dying as the rest of the world. Verse 32 calls those effects “condemnation”, which in that case meant “decision leading to adverse effects” to their health. Their (adverse) decision was to not consider the body of Christ which would avail healing to them. Notice no judicial context whatsoever, simply cause and effect. This is a great post, which I plan to share! Thanks so much! You did not choose me, but I chose you” (John 15:16). My experience was a softening of my heart by God for belief ,my heart was not soften by myself. Since condemnation is simply unbelief, greater condemnation is greater unbelief. The scripture is simply saying he is hardening their hearts. It was given to you to believe and suffer for Christ. And all of Israel will be saved. Every last one. ”	I am the captain of my soul. These lines from the 19th century poem, “Invictus” express perfectly man’s basic sin of “pride” (or “self-deification”), the basis for all of man’s disobedience to God. God is not a liar – Ehesians 1. Another amazing article, this puts everything in perspective. Love this post, amazing grace how sweet the sound that saved a wretch like me! Hebrews 4 It is impossible for those who have once been enlightened, who have tasted the heavenly gift, who have shared in the Holy Spirit, 5 who have tasted the goodness of the word of God and the powers of the coming age 6 and who have fallen[c] away, to be brought back to repentance. To their loss they are crucifying the Son of God all over again and subjecting him to public disgrace. I think this is an explanation of those who have heard the truth but refuse it. There just isnt anything else that can be done to convince them. Can’t redo salvation to make them believe. What are you thoughts? Are these verses referring to those, like the Pharisees, who heard but rejected? My thoughts on this passage can be found in this post. So in the case where God want (say pauls salvation )or anyone else God needs for his purposes ,and they don’t want to be saved , who wins ?Who,s will is sovereign in a battle of wills God or mans? If God is sovereign and everything that happens is his will, then it is his sovereign and perfect will for me to tell you that he is not sovereign. He was not willing for Adam to eat, but Adam ate. He is not willing that any perish, yet people perish. More here. Please limit any future comments to the post above (on Greater Condemnation). I’m confused about judgement day. Who’s accusing, condemning, and judging who? Working on a Sunday School lesson and found this article. Just what I was looking for and I checked a number of other sights. Thank you and keep spreading the word. You jus never know when you will be a great big help. .yes that’s right. I’m Learning its not GOD that’s doing it its those religious people and Satan. Rambling pharisees. WHY CAN’T YOU IDIOTS JUST READ THE BIBLE AS IT IS, YOU JUST CAN’T RESIST MANIPULATION AND REINTERPRETATION JUST LIKE THE PATHETIC THOUSAND YEARS OF ROMAN CATHOLICISM. GREATER = LARGER AMOUNT = DIFFERING FROM. Therefore it is very clear the lake of fire will have degrees, some receiving greater damnation and some receiving damnation in general. All damned but some damnation worse then what others will experience. This is the opposite justice of heavenly rewards. In heaven those who had the most works for God will be given the most rewards, so in the lake of fire, those who did the worst against God and man will receive the most punishment. IT IS THAT SIMPLE MANIPULATING RAMBLING PHARISEES. For preaching the grace that ends all condemnation I have been called many names, but I’ve never been called a manipulating rambling Pharisee. That’s a new one! Dylan, try holding back on the caffeine man. Thank you for this prime example of “rambling”. Maybe if you mellow out a tad; we could understand your point. (Not that I am a great writer either 🙂 ). Paul can you comment on james 3:2 in light of being free from sin and sanctified completely? “We all stumble in many ways” (Jas 3:2). We are all holy in Christ but we are still learning how to be holy. We’re like newborn babies – fully human in every way but not yet able to walk and talk like humans. We need to learn how to walk like a human and as we do we will stumble in many ways. Doesn’t mean we’re not human, just that we’re still learning to be who we are. Eventually we get it. Same with holiness. Check out Kingspress.org. Some of my books are available on loot.co.za, and most can be shipped for free via Book Depository. Awesome explanation! It’s all about accepting the grace of God, not about God punishing people.